Bill Justis didn't start with a desire to be a rock and roller, but when he found himself in the same room every day with some of rock's originators, he began to get the hang of it and move in that direction. The fact that the room was the recording studio at 706 Union Avenue in Memphis, his home town, had a lot to do with it. A saxophonist and trumpet player in high school, he had performed in jazz groups during college. In 1957, at the age of 30, he was hired by Sam Phillips at Sun Records as musical director, producing and arranging new artists in addition to established acts Johnny Cash, Jerry Lee Lewis and others. 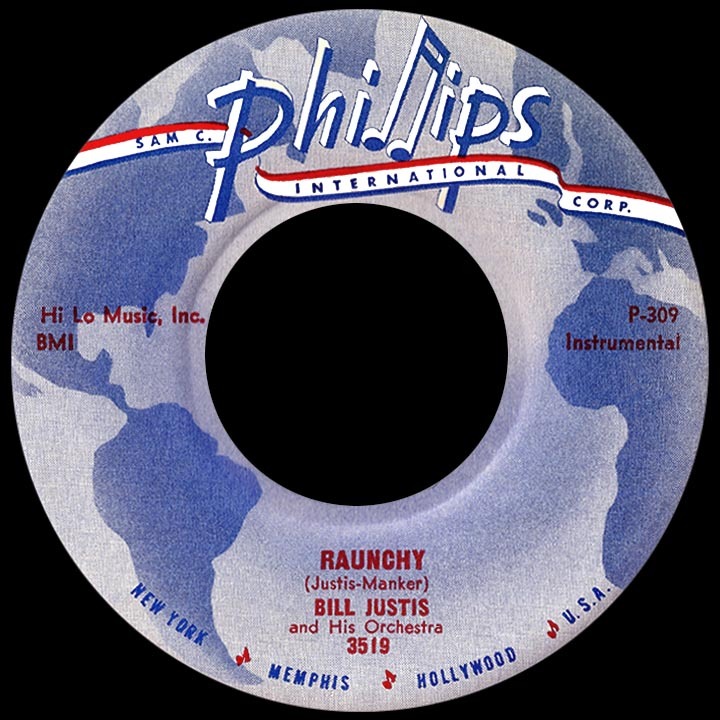 When the inevitable urge came to make a record of his own, the result was an instrumental, "Raunchy," the fourth single released on Sun's subsidiary label Phillips International in the fall of 1957. The artist credit on the record could just as easily have been Bill Justis and Sid Manker and probably should have. The two had written the song together (at first calling it "Backwoods") and the primary instruments on the session were saxophone (played by Justis) and guitar (played by Manker on the lower frets with a reverb-injected, rocking sound). The song took off in November having to deal with two competing versions, both quick on the draw and aiming to have the biggest hit. It worked out okay for all three: by the end of 1957 the Justis original had risen to number two on the Billboard charts, a slightly faster-pitched but similar version by Ernie Freeman went almost as high, and a big band-style cover by Billy Vaughn made the top 40. Cash Box magazine often combined more than one artist on a single chart position in those days, and the Justis and Freeman records ended up sharing two weeks at number one. While proceeding with his producing and arranging duties, Justis sidelined on further singles with Manker. The follow-up was "College Man" in the spring of '58 (mostly instrumental, it began with the chant 'rah, rah, rah rah rah, we hate college, ha ha ha' and ended with an altered chorus of 'hail to dear old alma mater'). The tune was a throwback to the stronger sentiments of a few decades earlier, but had a nice run, hitting top 50. Four more singles were released through 1960, some written in collaboration with Ace Cannon (of Bill Black's Combo) or Steve Cropper (who around 1960 was beginning his long association with Stax Records, located in Memphis just two miles from the Sun Studios), though none of them went anywhere. Charlie Rich played piano on some of the Justis sessions and the two wrote songs together, a highlight being the Johnny Cash hit "The Ways of a Woman in Love" in '58. Bill also played sax on some of the Rich recordings previous to his breakthrough 1960 smash "Lonely Weekends," which launched the future "Silver Fox" on a successful career in rock and, later, country music. Dealing with Phillips's mood swings became a challenge for Justis, particularly when the hits started coming less often for the company. By some accounts he was fired, by others he walked out. 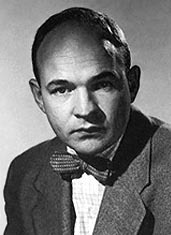 Either way, he bounced around in 1959 and '60 working sessions for the Judd label and his own short-lived operation Play Me Records, sold to NRC in early 1960 where he had one instrumental single release, the non-hit "Boogie Woogie Rock." A stint at Liberty found him recording with Jerry Smith as Cornbread and Jerry. A later contract with Smash Records provided more steady employment. He delivered a series of instrumental albums and returned to the singles charts in May 1963 with "Tamouré," based on the dance from the islands of Tahiti featuring swaying girls in grass skirts, the song's vocals by a female chorus referring to the 'Tahitian lover's dance.' It was a big hit in some regions but never quite made it nationally. Justis went behind the scenes and stayed there for the remainder of his career, producing and arranging music for a variety of pop, rock and country acts. In 1963 he and Smith produced two big hits for girl group The Dixie Belles, reviving the Cornbread and Jerry alias on the sessions for "(Down At) Papa Joe's" and "Southtown, U.S.A." In 1964 Bill ventured into new territory, managing Nashville surf-and-drag group Ronny and the Daytonas, who enjoyed a nice run of hits between 1964 and 1966 including "G.T.O." During a later association with Ray Stevens he went a little wacko, suggesting the title "Gitarzan," which Ray expanded into a novelty song that became a top ten hit in 1969 (Justis received songwriter credit under the pseudonym Bill Everette). A creative goal was reached in the '70s when the opportunity to score film soundtracks presented itself; the first was for a 1972 horror B-picture, Dear Dead Delilah starring Agnes Moorehead. Later assignments took a turn for the better: he composed the scores for a pair of hit Burt Reynolds movies, the 1977 blockbuster Smokey and the Bandit and Hooper the following year.